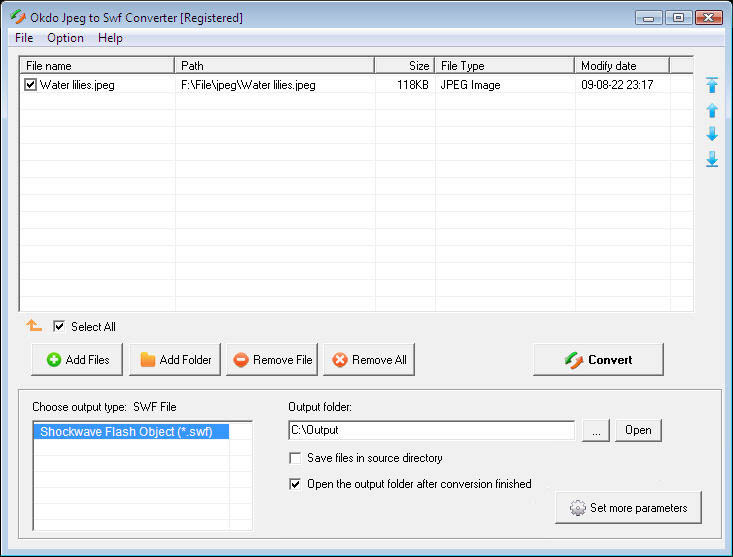 Okdo Jpeg to Swf Converter is the easiest and powerful jpeg to flash video converter. With it, you can view image file with a flash player. It can help you convert your jpg, jpeg image files in batches. The output quality is super excellent and the speed is super fast. You will like it when you use it. Simultaneously convert massive jpg/jpeg image format files to flash video once to save your time.